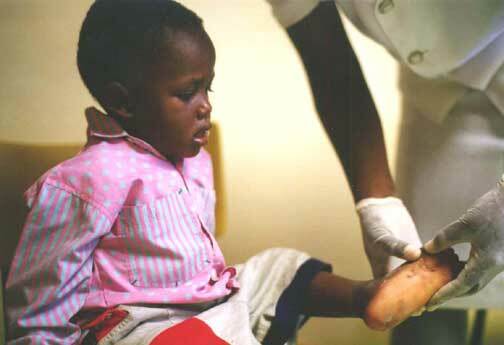 Without shoes, this young boy had cut his foot on some rusty wire and been brought to the clinic with an infection. His calmness with the attending nurse was noteworthy, inasmuch as I was told he had never, before that moment, ever seen a nurse or a doctor in his life. Many Haitian children go years before they receive the attention that they deserve.